Ray design shop features vintage decor, original prints, and modern objects for the home. We’re located in the Village of Greenport, NY on the North Fork of Long Island. Greenport is a former whaling and fishing port with homes dating to the 1600s. Our retail shop is located at 213 East Front Street, in the heart of the Village where you’ll find many shops and restaurants featuring locally sourced wares and produce. 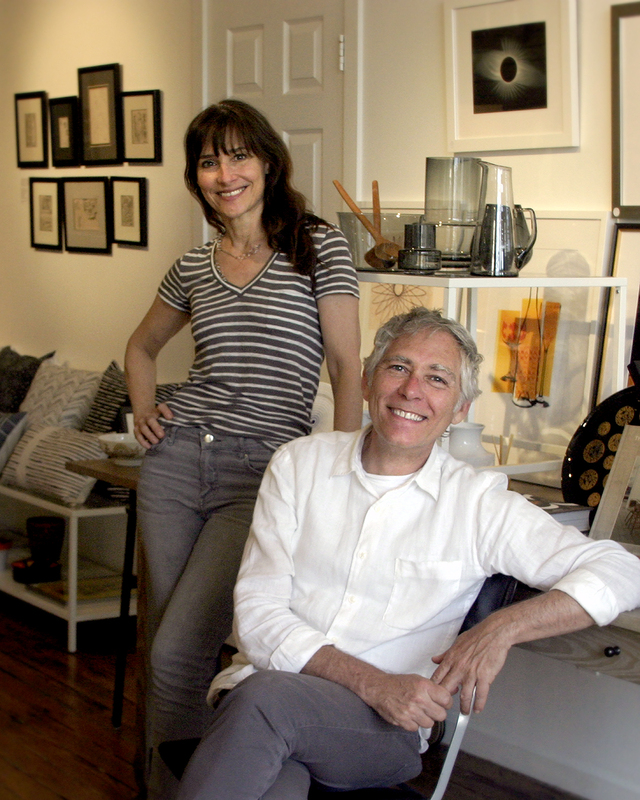 Ray design shop’s proprietor is Michael Aron and the creative director is Nola Lopez. Ray design shop was named for Michael’s uncle Ray Aron an award-winning product and graphic designer. Ray design shop specializes in small midcentury modern design objects. Our personal collection of Scandinavian glass and pottery formed the basis of our items for sale. We offer unique vintage pieces as well as contemporary reproductions of design classics. Additionally we have framed prints and original art.